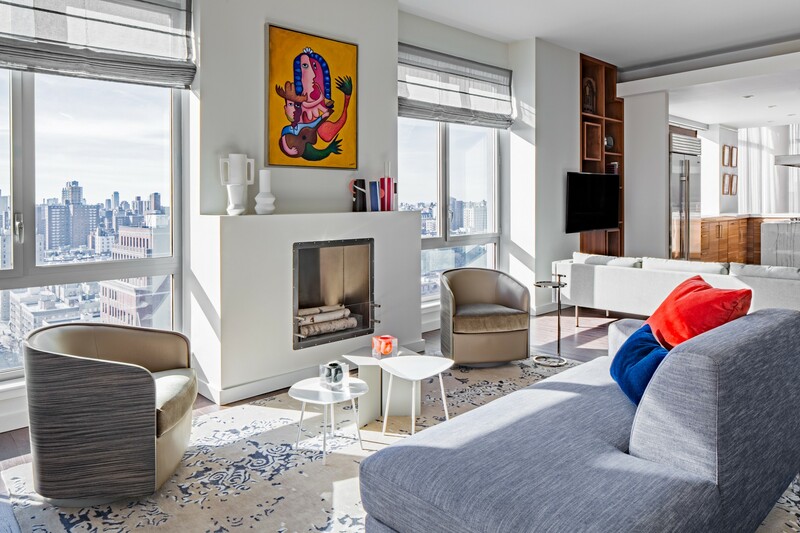 When an international couple purchased a penthouse overlooking Central Park West, they tried to decorate the space themselves, but soon found the home design process to be demanding and arduous. 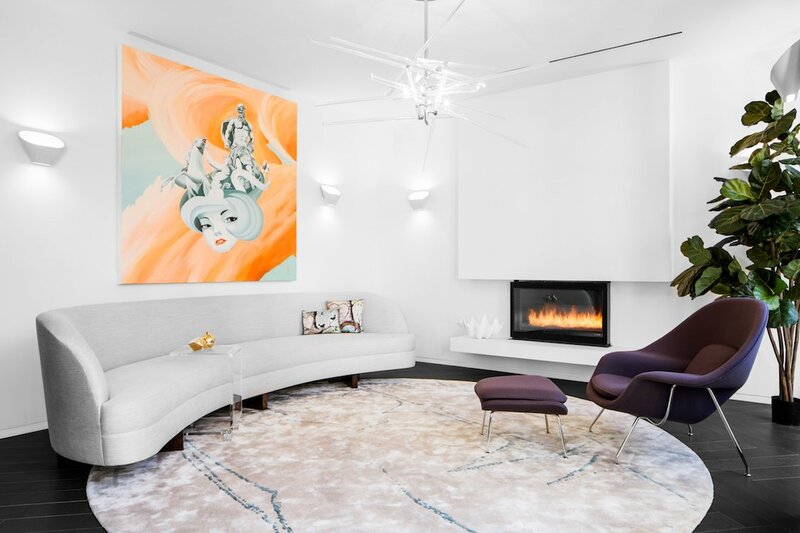 So they reached out to Decor Aid, and asked for our help in designing the entire home—from sourcing the furniture, to laying out the space, to incorporating the couple’s international art collection. 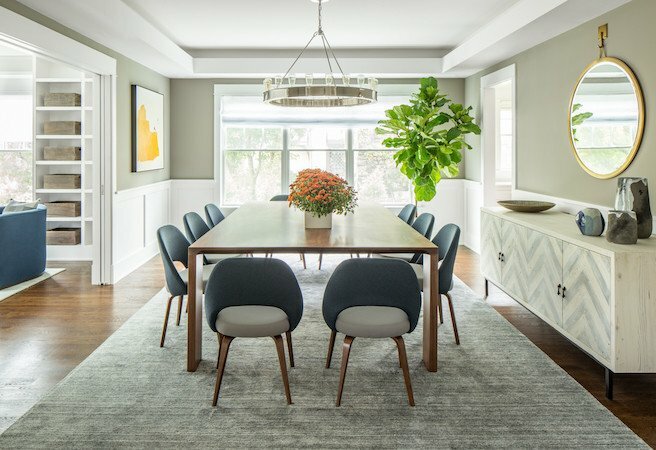 Our client already owned several homes, but they wanted their new space to function as a permanent home base, and to reflect their lifelong commitment to the arts. 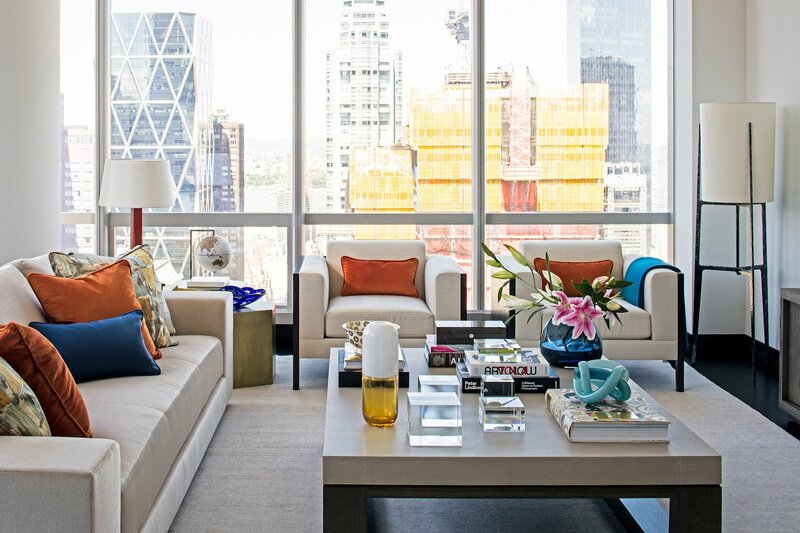 When our client tried to design the space themselves, they found it difficult to demarcate a separate living room and formal area within the penthouse’s open layout. So we sourced a large sectional couch, to separate the television area from the formal space, and then fabricated a chaise sofa, which doubles as a foyer bench. 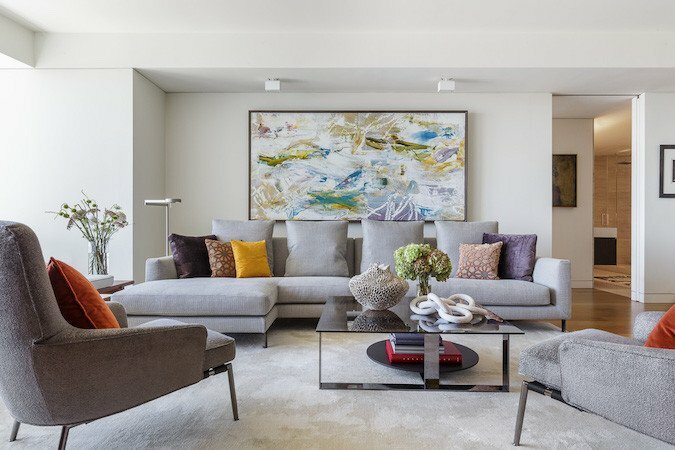 In curating a space that could serve as the couple’s home base, they asked for our help in reconciling the modern silhouettes of the apartment with the couple’s international art collection, which includes vibrant paintings from Latin America and Africa. To maintain a consistent look throughout the space, we centrally placed one piece of art in each room of the home, and then added colorful accents to match. Our client wanted to center their living room around an original piece from the Cuban artist Jose Rodriguez Fuster, one of the Caribbean’s most acclaimed living artists. So we sourced a menagerie of orange table objects and pillows to compliment the predominant colors in Fuster’s painting. To frame the formal area, we sourced two chairs from South Hill Home. Our clients are lovers of environment, and also support organizations benefitting the blind. So we designed a living plant wall, adjacent to the foyer, for an entryway full of original art pieces and vibrant plant life. Our clients also commissioned a piece from the American artist Jeff Hanson, who continues to paint despite his blindness. In the dining room, a commissioned piece from the cuban artist Frank Mujica is framed by a mid-century dining table from Dune and chairs from Hive Modern. We also sourced a duet of custom-fabricated benches, with fabric from Donghia, and a lighting fixture from a local artisan. Our clients were bored with lack of options for high-end bar stools, so we custom-fabricated a triplet of orange bar stools, made with Edelman leather and Pollack fabric. In the master bedroom, we sourced a canopy bed from Desiron, and a settee from Jonathan Adler. We also reupholstered the client’s existing window treatments, to give the gold curtains a refined, pleated finish. The painting in the corner is from Adrian Fernandez’s “Requiem” series—an ongoing project that interrogates masculinity in 20th century Cuban postage stamps. The final result is a contemporary penthouse, with gorgeous views and bespoke furnishings, for this discerning client.